Offers a full line of electric actuators with torque ranges from 100 to 20,000 inch pounds in DC 12,24V,220V.AC24V,110V,220V,380V voltages. 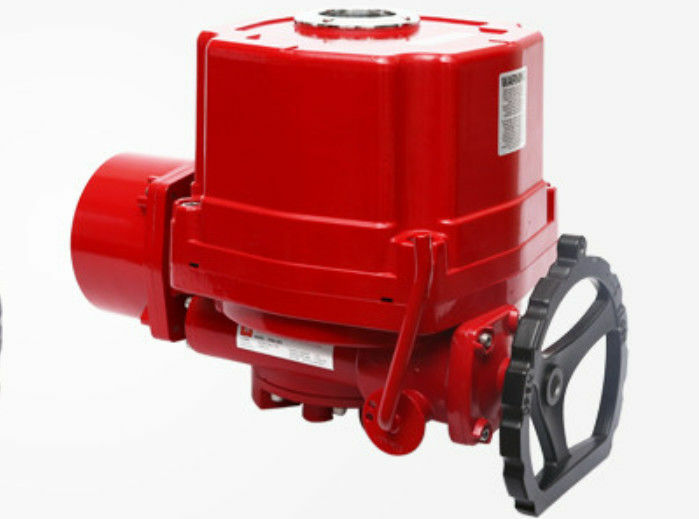 All electric actuators are available for modulating (4-20mA control) or on-off service. Fully adjustable limit switches allow for fine control of on-off positions. Options for NEMA 4, 4X and 7 enclosures provide flexibility for a variety of environments and applications. ISO mounting and a double star output shaft create direct mounting to a variety of quarter turn valves. We can provide a complete automated assembly with our Flowx ball valves and butterfly valves, or retrofit onto an existing valve with our customized mounting hardware. It has widespread use in many industries. Including: metallurgy, petroleum, chemical engineering, generating station, printing and dyeing, water treatment, shipbuilding, paper-making, food processing, pharmacy and building automation system etc. 12. Intelligent digital control: the intelligent control module is integrated in the electric actuator, so it need not connect an external localizer; digital setting, digital calibration, high precision, self-diagnosis, and multiple - feature in one device.